Photographers submitted more than 5,500 images to Audubon's eighth Annual Photography Awards. Four were selected as the best of the best out of the top 100, but this year one of those is of two of Rockport's birds. Professional photographer, Nate Chappell captured his winning image of two white phase Reddish Egrets (see photo) last year while out on the Jack Flash with local boat captain Kevin Sims of Aransas Bay Birding Charters. Nate noted that "Kevin Sims always does a great job of getting us in good position to photograph the birds," allowing him to capture the two birds performing a territorial display. Audubon honors "worthy images...that capture birds in breathtaking scenes and fascinating behaviors." In addition to having another photograph honored (one Nate took in Arizona), Texas birds are featured in several other honored photos. Reddish Egrets grow to a height of 27 to 32 inches and have a wingspan that reaches 46 to 49 inches. They have two distinct phases: a dark phase and a white phase. According to Texas Parks and Wildlife, "Reddish egrets in the dark phase are gray with a reddish head and neck feathers. They have bluish legs and a pink bill with a dark tip. In the white phase, these birds will have white feathers, bluish legs, a pink bill with dark tip, and long shaggy plumes on their heads and necks during breeding season." They are permanent residents in the coastal bend area. We see them most often in shallow salt and brackish wetlands and, although we see quite a few in the Rockport area, they are classified as threatened. Although a resident of Missouri City, near Houston, Nate regularly travels to Rockport for bird photography and workshops he leads here. 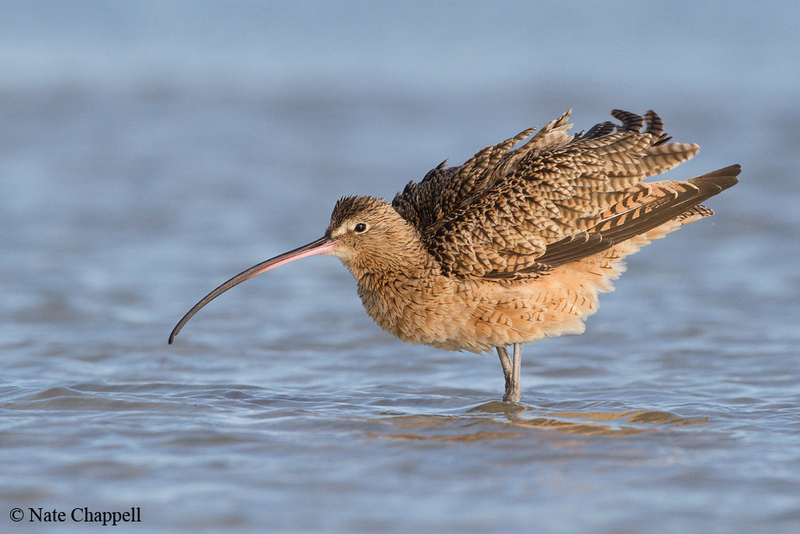 The photograph of a local Long-billed Curlew was taken at Rockport Beach. 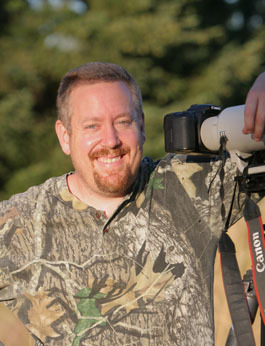 Through his company, Trogon Photo Tours, www.trogontours.net, Nate leads photo tours and workshops throughout the world.